A friendly, accessible and inspiring course in oil painting from a member of the prestigious Royal Institute of Oil Painters. Haidee-Jo Summers' artwork is filled with light and vibrancy. Her friendly, instructional style will demystify oil painting and show you how to use this traditional medium to create contemporary portraits, landscapes, still life and more, all suffused with the unique warmth and richness of oils. This book is ideal for painters at any level of experience, from complete beginners looking to start out with oils, to advanced painters wishing to pick up new ideas and techniques. Fresh, bright and accessible, this vibrant book is a real feast for the eyes. It provides step-by-step instruction, projects and numerous examples of Haidee-Jo's finished art, from cafes in Seville to her local allotments, giving the reader a wealth of inspiration and ideas for producing stunning oil paintings of their own. Haidee-Jo Summers is an award-winning artist whose work has appeared in numerous exhibitions worldwide. Oils are her preferred medium, though she has written and taught on the subjects of acrylics, watercolours, gouache, inks, pastels and mixed media. Over the years she has worked on many different subjects which include still life, flowers, gardens, cats, interiors and portraits as well as landscapes, but in the last five years she has been completely hooked on plein air painting. She has always preferred painting from life, and has no qualms about painting anywhere, no matter how busy or crowded the setting, how complicated the scene or how difficult the weather. The majority of her work is fairly small (10 x 12in up to 16 x 20in) and painted entirely on location with no finishing off afterwards. She also paints much larger studio paintings using small plein air studies as a starting point, together with any accompanying sketches and photos where needed. In the studio she is able to be more experimental in approach; having the luxury of time makes it possible to explore building up in layers, rubbing back and glazing. Haidee-Jo's career has developed rapidly since graduating from Leicester University in 1994, and since then she has received numerous accolades, including the Young Artist's Award two years in a row by the Royal Institute of Oil Painters and the SAA Artist of the Year award in 2012, and more recently her work has been chosen for the prestigious Royal Society of Marine Artists exhibition at the Mall Galleries, London. She was elected a full member of the Royal Institute of Oil painters in 2017. 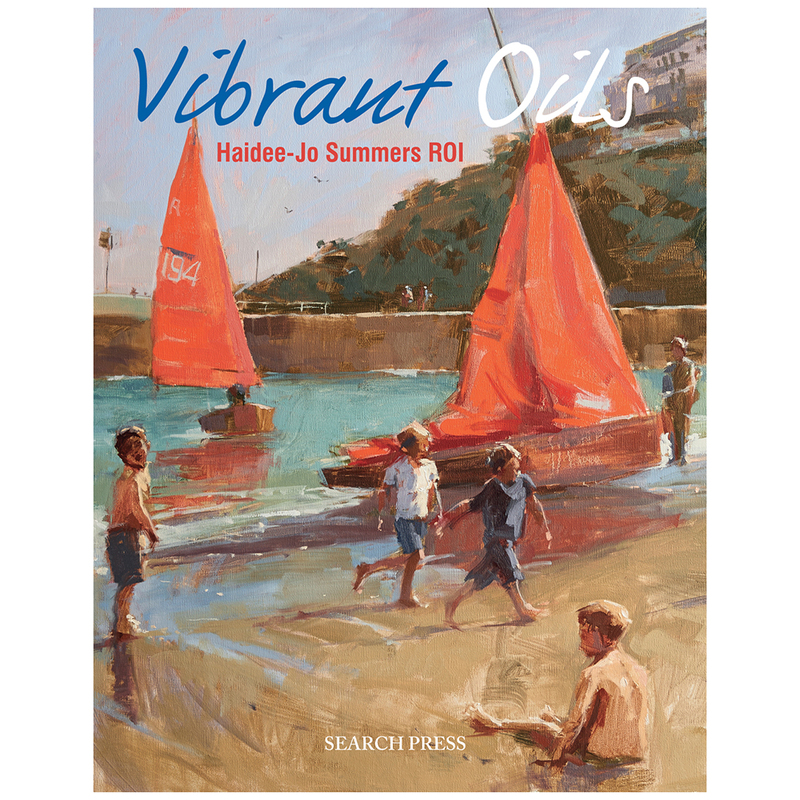 Haidee-Jo Summers eagerly anticipated first book on oil painting will delight her peers and oil painting students alike. She invites the reader to enjoy an intimate journey through her seemingly effortless working methods and techniques to produce fresh and vibrant oils, full of light and clean colour. But this isnt just an invaluable book on alla prima and layered oil painting techniques, its also an insight into a top professional artists thoughts on inspiration, composition, drawing and seeing. Its a must-have book for all aspiring oil painters, full of fabulous, impressionistic oil paintings covering all figurative subject matter, with many inspirational exercises to help build confidence and improve technique.